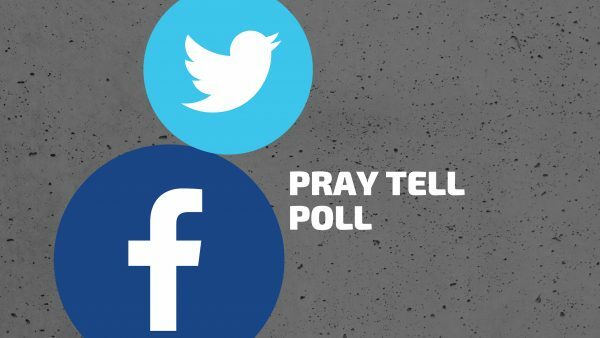 Pray Tell Poll: Announcement before Communion? Is a spoken announcement appropriate before the distribution of Communion stating requirements of proper disposition and who is admitted to Communion? Next Post:When did priests start saying Mass? I spoke to a non-Catholic recently that had been receiving communion at his (Catholic) wife’s church for years without realizing he wasn’t meant to. He only found out when visiting another parish that made an announcement like that. He’s being prepared for reception in to full communion now. This wasn’t the best way for him to come to learn this (I’d have thought this would have been covered during marriage prep), but better then than never. Would it be appropriate to make an announcement every now and then, say, at the start of the academic year or during “C & E” Masses? Sure. There’s nothing wrong with giving advice and guidance to those who are new or haven’t been to Mass for a while. Less is more, but when it’s helpful go for it. Sadly I see it done at weddings and funerals after the Presider receives communion but before the assembly. This looks and feels wrong on so many levels, especially musical concerns and clerical concerns. I think it’s also very hard, if not impossible, to word this in a positive or welcoming way. If there is, I want to borrow it. If your church prints music/responses in a worship aid or bulletin, use that. Logistical announcements during mass can be rather distracting, especially at Communion, and the more they can be reduced the better (even hymn numbers). Pre-mass announcements is another option. Largely agreed. The announcement should be framed at who is invited rather than who is disinvited, as it were. Also, it seems these days that people may need to be reminded to consume the Blessed Sacrament immediately; I was rather stunned a couple of months ago to hear our pastor (who was clearly addled in having to make the announcement) remind people of this a week after some presumably consecrated hosts had been found in the pews right after the previous Sunday’s Masses, and the the stations of the ministers of Holy Communion have been slightly adjusted to make it easier for them to be aware of those who fail to complete communion before returning to the side aisles. In our parish this only happens at weddings and funerals when there are likely to be numbers of other christians and unbaptised. It is always framed positively. All are invited to come forward either to receive communion or a blessing for “those who for whatever reason” do not wish to receive communion. I am sure that communion is sometimes given to other christians and the unbaptised. And I would be surprised if there were tears in heaven when that happens. It would be discourteous to leave non-catholics (hate that term) wondering what they should be doing when some of the congregation get to their feet and go to the front. From everyone’s responses, it seems common that this type of announcement is limited to particular circumstances where the composition of the congregation warrants some instructions. IMHO, that seems to be a prudent approach. If the pastor feels that a situation has developed where this needs to be mentioned more often, even on weekly Sunday Masses, then that is his prerogative. Question for Moderators: Some of these polls don’t lend themselves to a yes/no answer. Maybe this limit on the responses is intentional. If not, could a third option such as “Other” or “For Specific Occasions” be included? I think this change would make the results of the polls both more accurate and more enlightening. No matter the decision, thank you for the polls. Many times, I find the discussions surrounding them very helpful. This is the Table of the Lord; he is the Master and we are his guests. All baptized Christians who are truly repentant of their sins, and who believe Christ is present, according to his promise, in the Eucharist we share are welcome, with faith, to receive. If you do not share our Christian Faith, or for any other reason are unable to receive, please let me know as you approach, and I am happy to offer you a prayer of blessing instead. However, the manner in which this (or some similar language) is said, and perhaps WHO says it makes a big difference. At the end of the day, noting that Christians are not all in communion in the context of communion is certainly a sad event, no matter who or how such words are uttered. Writing from Japan I have to answer “Yes”. Have heard announcements on the topic day in and day out for 40 plus years I have become a little tired of hearing it, but…. Just recently we had Ordinations, and among those present there were friends of the ordinandi going back many years. Not all were familiar with the situation. One of the ordinandi was Vietnamese, and the Vietnamese community in this part of Japan is the second largest in Japan. One of my younger Vietnamese confreres told me that at the monthly Vietnamese Mass, held in the parish I live in, upwards of one third of the participants are non-Christians. Among the Indonesians exchange students who’ve attended the weekly English Mass there are often young Muslim women – proudly wearing their hijab – and I have had some of them come up at Communion time and ask for a blessing. I also had one ask me after Mass to pray for her since she had an important exam coming up. I like Fr. Robert Lyons’ approach. I hate hearing anyone say aloud in church who may not receive Communion. It makes somebody a non-person, just like the old days in the Soviet Union. I’ve heard a priest make the statement that those “who are not Catholic or not in a state of Grace” may come forward and he will bless them. That is a decidedly unhelpful statement. How many Catholics even know exactly what that means? Parishes can largely eliminate the issue for weddings and funerals, I think, with a well-designed and clear worship aid, which is helpful for folks representing many situations. Embarrassing people or making them feel “less” does not represent the radical hospitality to which Christ calls us.